Blog post by Christopher E. Smith (FieldEcology.com). Subscribe via e-mail, RSS, or follow on Twitter. 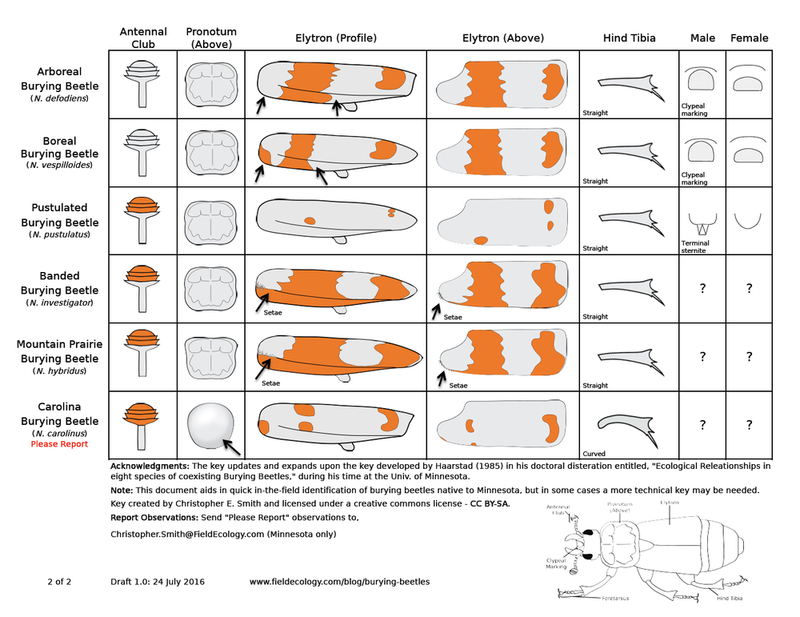 Below you will find a draft of my Illustrated Key to the Burying Beetles (Nicrophorus spp.) of Minnesota. Though not quite complete, there have been many requests for this identification sheet so I thought I would put it out there for use and review by others. Please contact with comments and/or corrections. Please note that there is variation in color and pattern within some burying beetle species. This key should facilitate the identification of burying beetles in Minnesota and beyond, but does not cover all species of burying beetle native to the U.S, nor does it include color/pattern variation found outside of Minnesota. 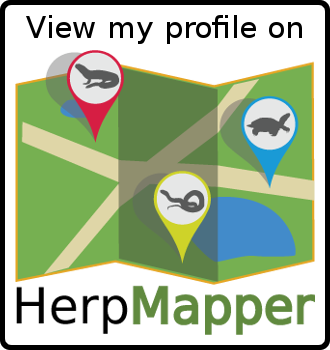 The Field Ecology Blog is meant to be informational and thought provoking. Wherever possible, I provide links to supporting external resources. Views expressed here do not represent the views of my employer(s).